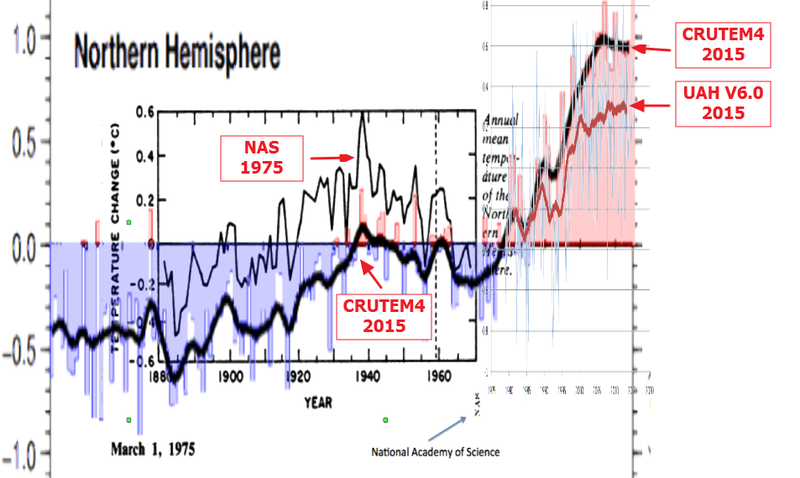 The CRU temperature record run by Phil Jones is fraudulent. The case for this is shown clearly below. 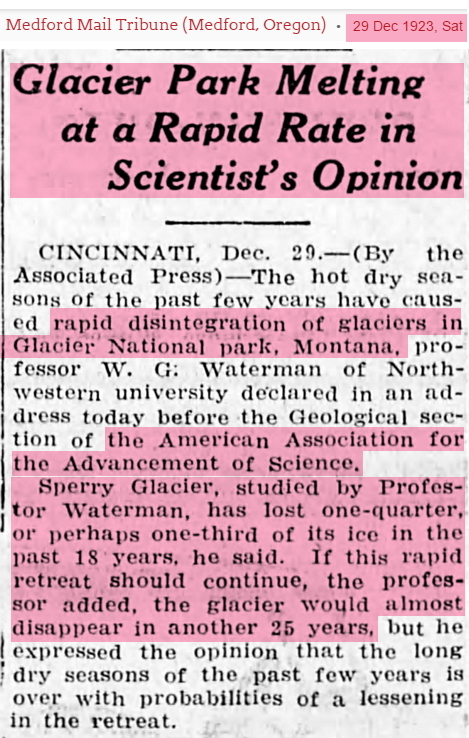 In 1923, the glaciers of Glacier National Park in Montana were rapidly disappearing and predicted to be gone by 1950. 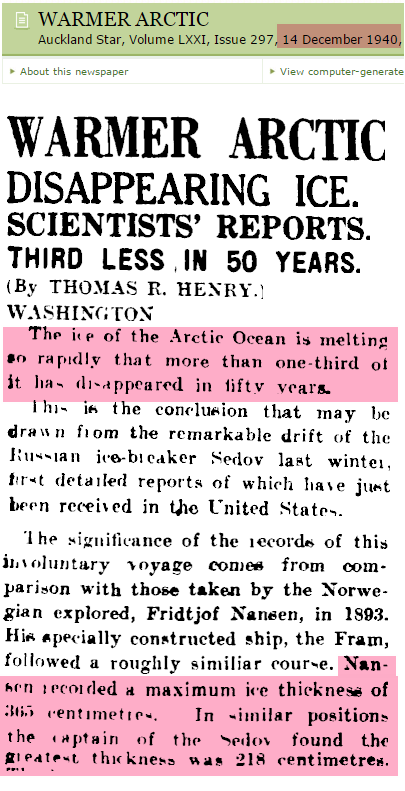 By 1940, the Arctic had warmed six degrees, and sea ice had dramatically declined in thickness. 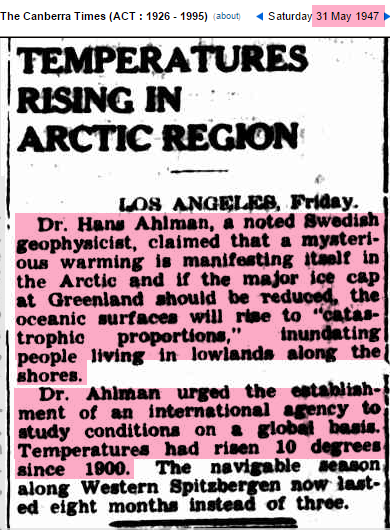 By 1947, a ten degree rise in Arctic temperature was reported, and scientists were worried about sea level rise drowning seaports. 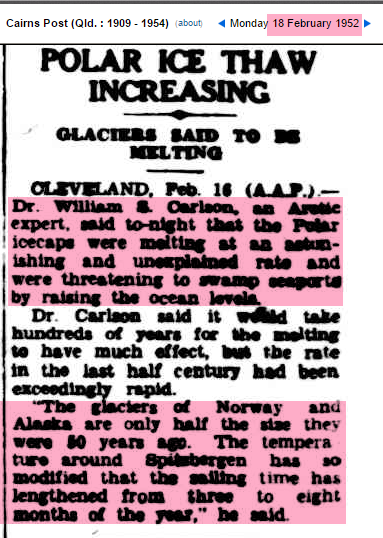 By 1952, the glaciers of both Norway and Alaska had lost half their mass. 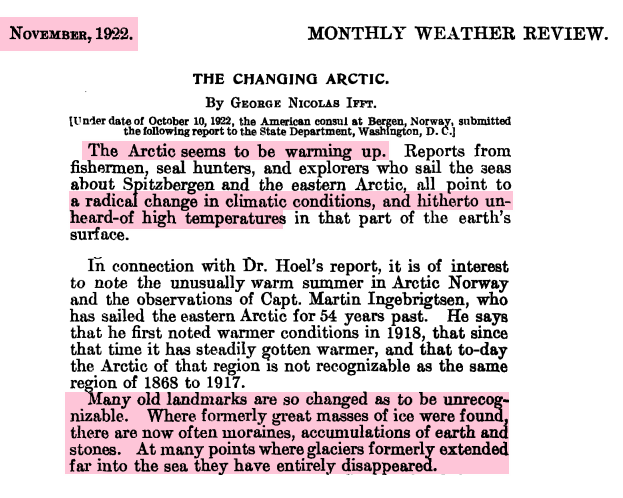 This tells us that the warming was universal across the Arctic. 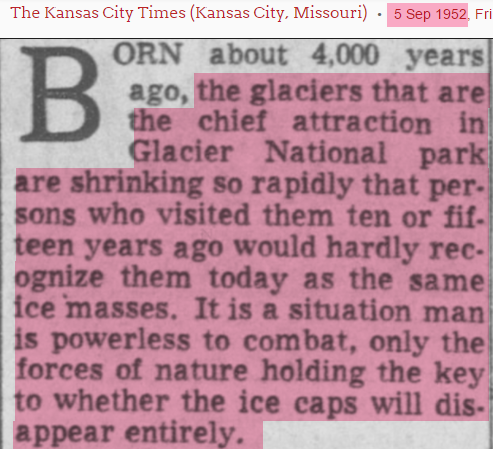 The glaciers of Glacier National Park in Montana were still rapidly disappearing. 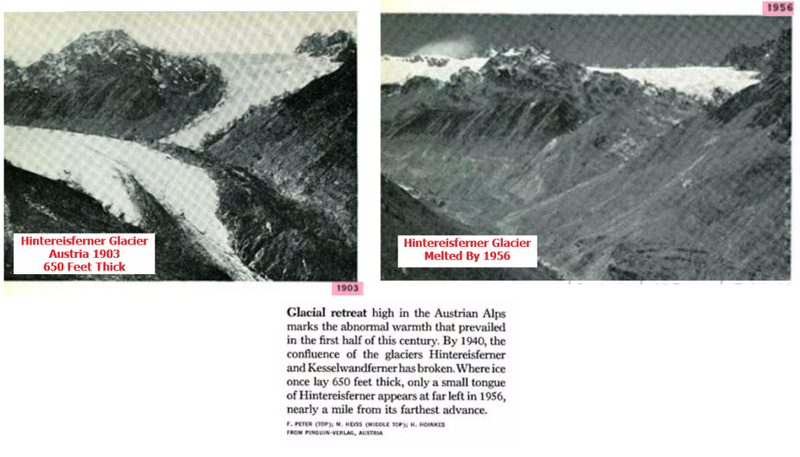 Glaciers in the Alps disappeared during the first half of the century. 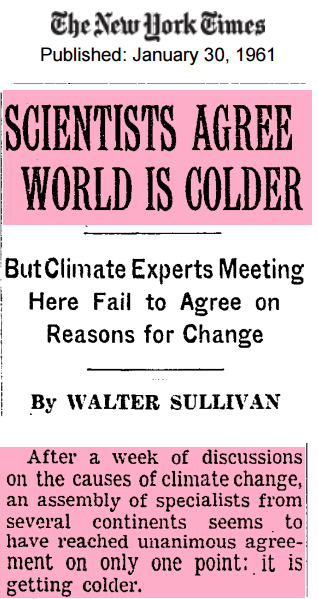 However, a dramatic turnaround occurred, and by 1961 there was unanimous consensus for global cooling. 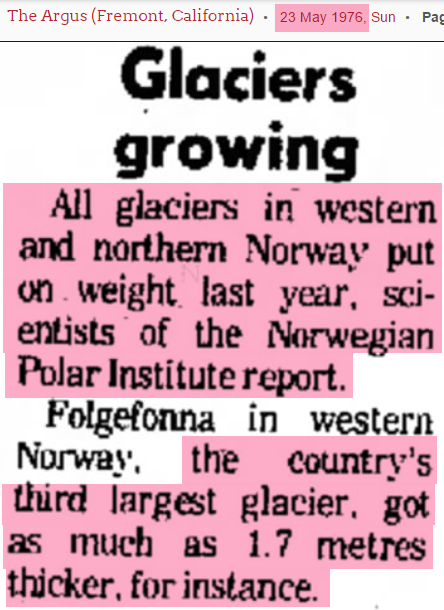 In 1976, all of the glaciers in northern Norway were expanding. 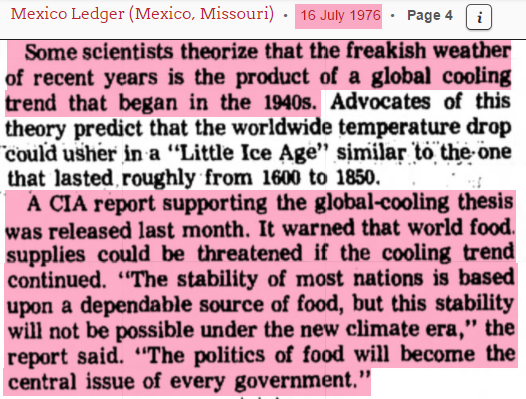 The climate had cooled dramatically. 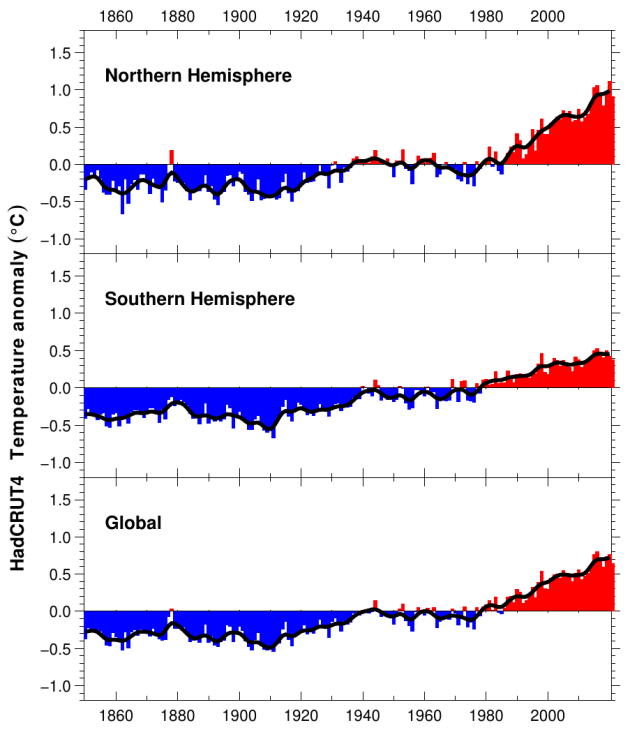 In 1975, the National Academy of Sciences generated a graph of Northern Hemisphere land surface temperatures which accurately showed the warmth before 1940, followed by half a degree cooling. This graph made sense based on the behavior of the ice across the Northern Hemisphere and Arctic. Here is where the problem comes in. 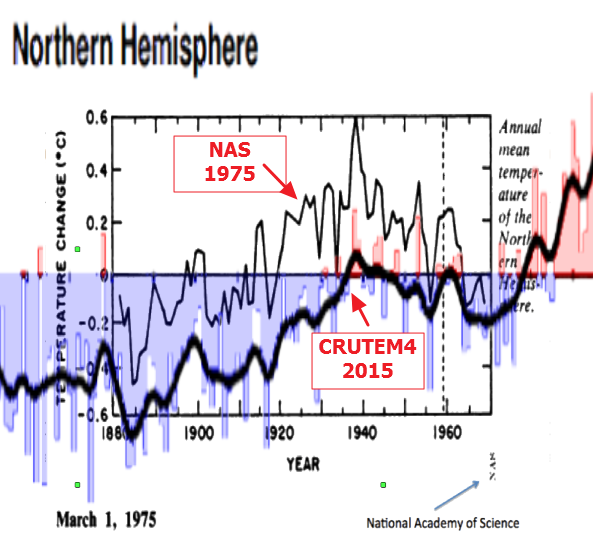 The current CRU graph for Northern Hemisphere land surfaces makes no sense. 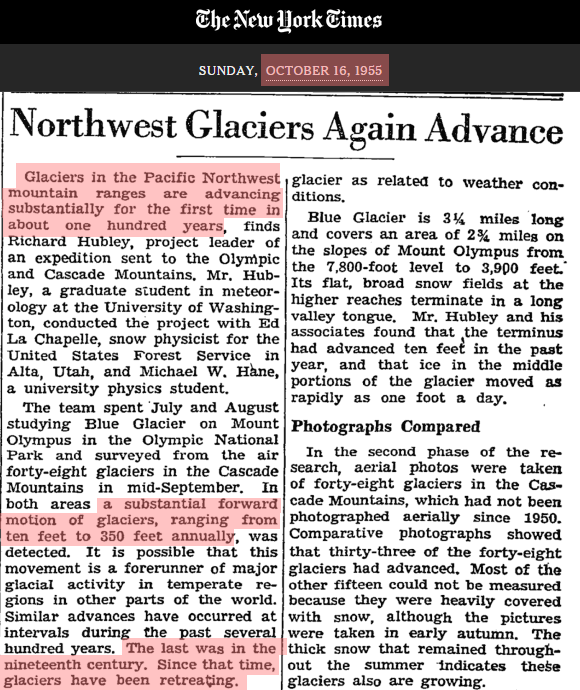 It shows glaciers melting rapidly during a very cold period, and glaciers growing during a warmer period. 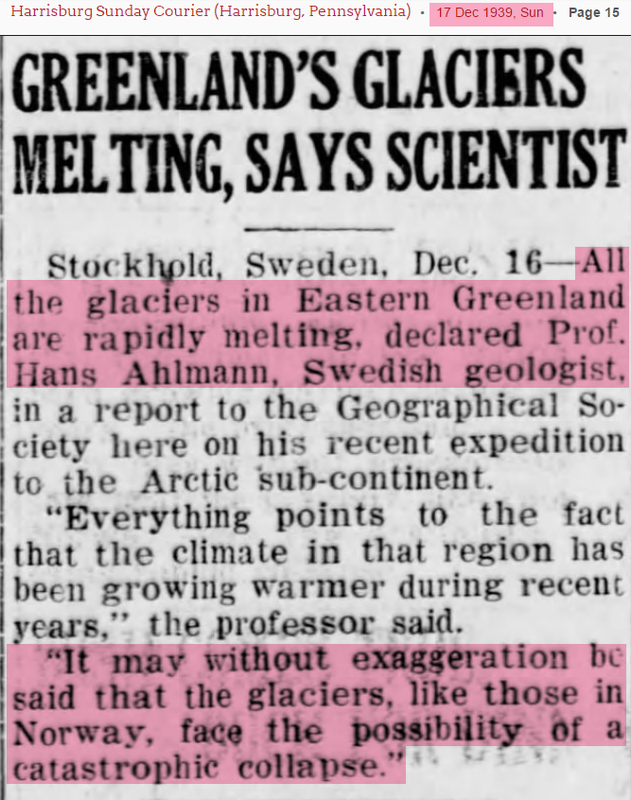 The sharp cooling after 1940 has been nearly erased. The CRU temperatures are nonsense. The next graph shows how CRU generated their fraudulent graph. They cooled pre-1960 temperatures by about half a degree. The CRU fraud is much worse than that, however. 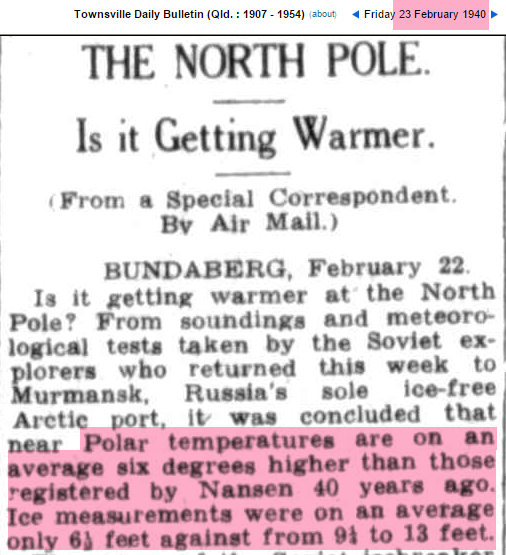 Not only did they dramatically cool pre-1960 temperatures, but they dramatically warmed post-1980 temperatures relative to satellite Northern Hemisphere land temperatures (UAH V6) – to create a completely fake hockey stick of warming. 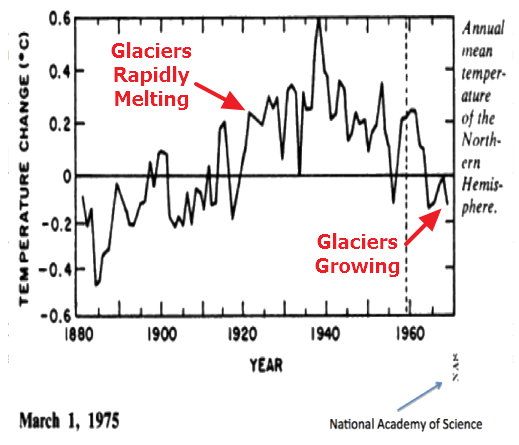 The 1975 National Academy of Sciences data, combined with the recent satellite data, shows us that there has been little net warming since the 1930’s. 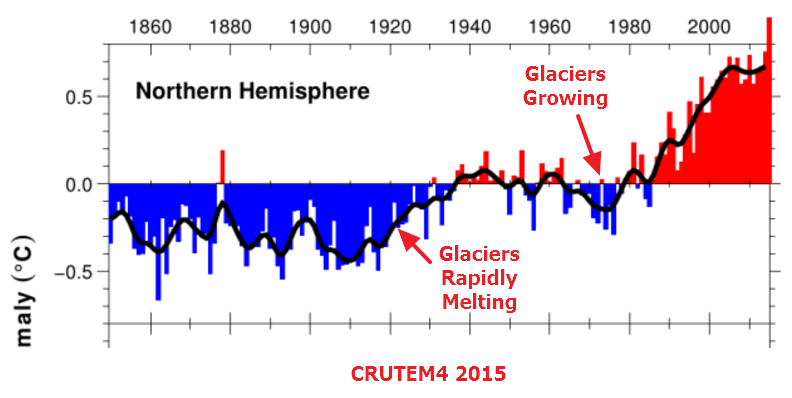 The hockey stick is a total fabrication by government scientists. Climategate E-mails confirm that this manipulation of data was the scientists’ intent, and that they intended to cover up their activities.. 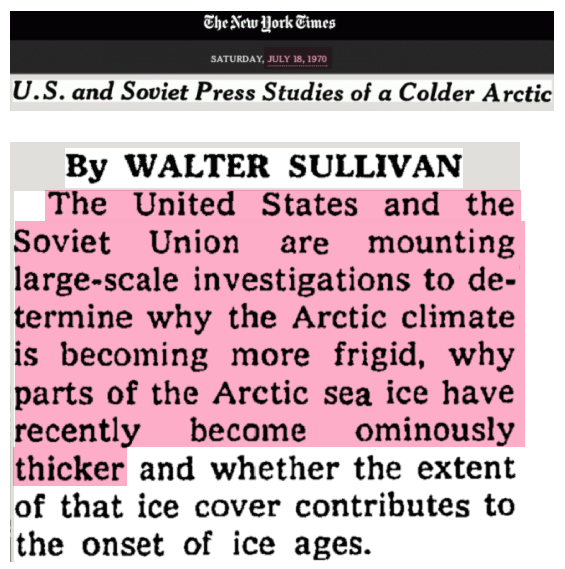 Evidence is overwhelming that global warming/climate change is the biggest fraud in history. How much of this is confirmation bias and how much is fraud? Are these people actual scientists or are they political scientists? Glaciers don’t lie–you can depend on them to reflect what is happening with the climate that drives them. Would sure be nice if you could say the same thing about CRU. All the newspaper articles you cite are part of the public journalistic record. How come you are doing all this work, and journalists — those whose profession it is — are not? Are they just lazy? Indoctrinated by their left-wing liberal education and so disinclined to look into such matters? Incurious? Do you know of a single journalist who is doing similar work to yours? This issue would make a good doctoral thesis for someone. Perhaps those who chose journalism discovered that their careers would be better enhanced were they to conform to certain standards, much like their counterparts in academe. As has often been said, those who pay the piper call the tune.